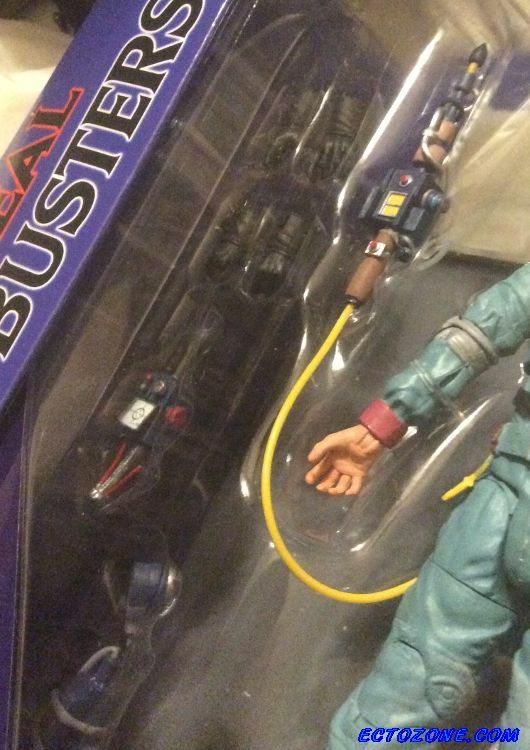 Diamond Select definitely wants my money now. Sometimes it's the little things, though...like them color coding the proton beams in the same colors as the beams with the original Series 1 figures in 1986. Very nice touch. 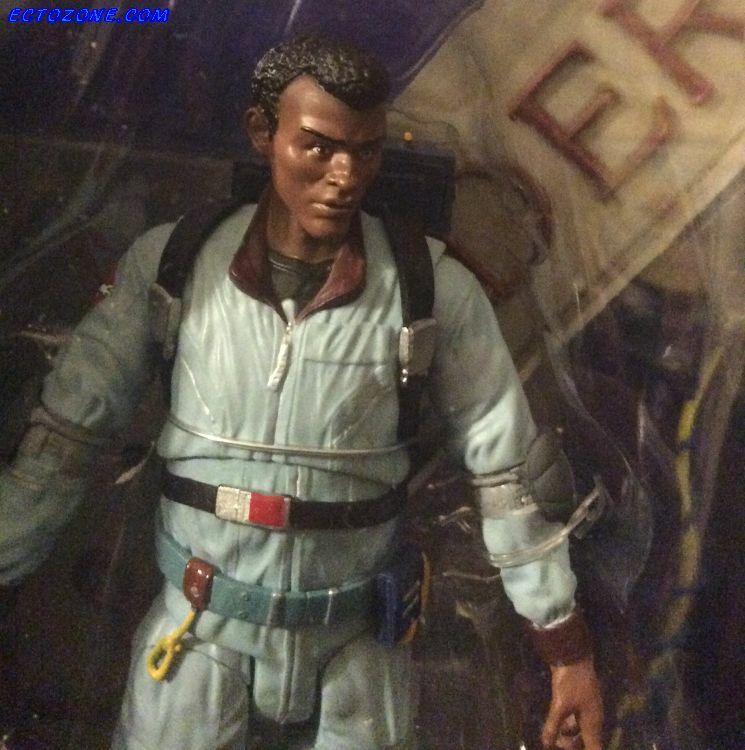 The first wave of the RGB figures, the Ninth overall of the Diamond Select line, is now out in the wild. I saw them at my comic shop last week. 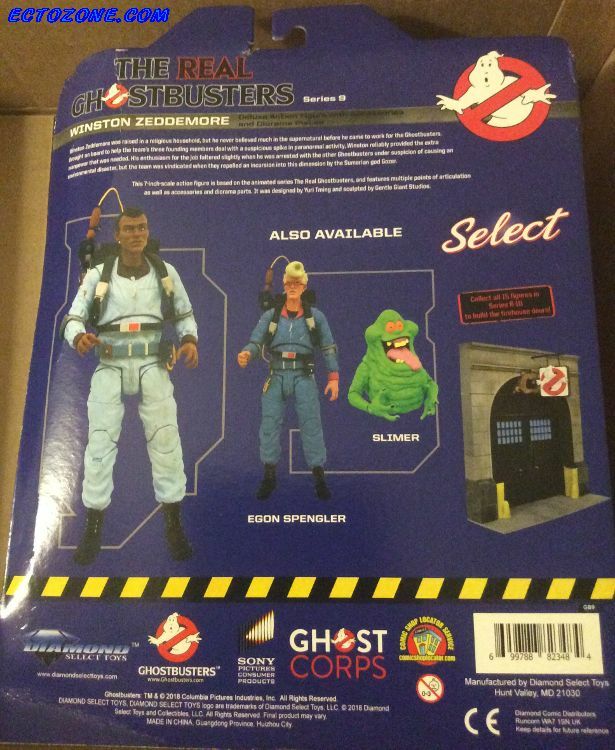 That first wave is Egon, Winston, and Slimer. 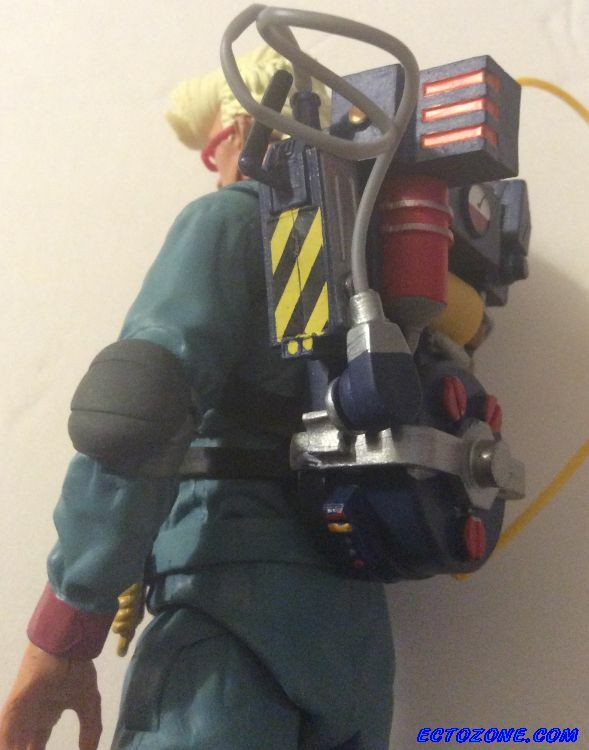 The second wave (10th overall) will be Venkman, Ray, and the Stay Puft Marshmallow Man. We need a Janine figure, too. 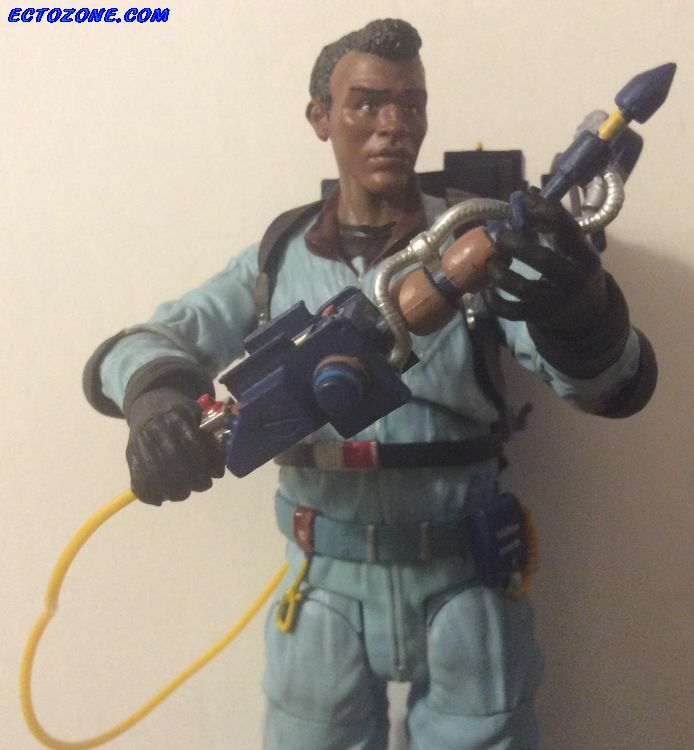 I'm trying to rebuild a long-disbursed collection, and only have one Janine so far, the Retro-Action one that really looks good. 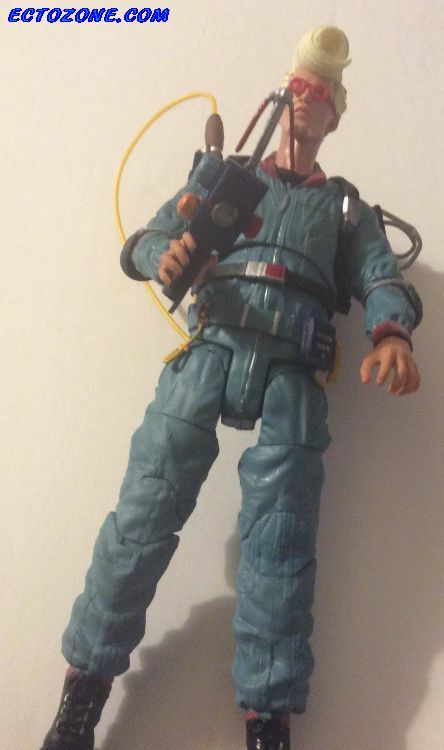 Of course, I have Egon, too. 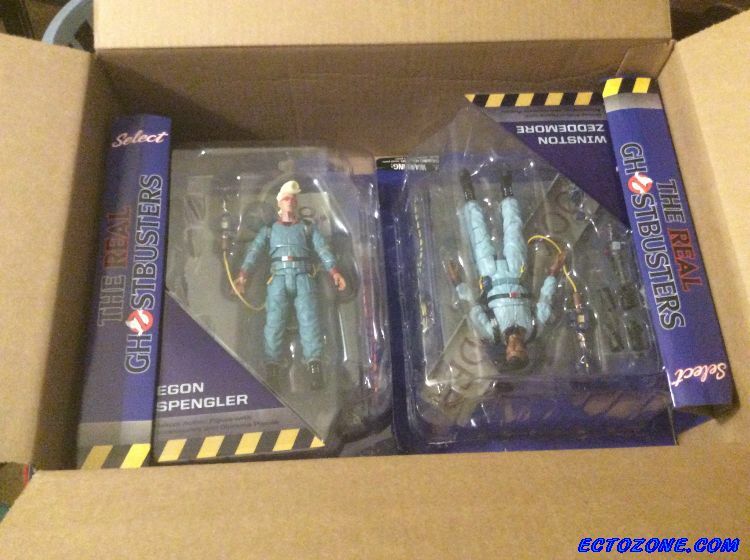 I've ordered Egon and Winston from Amazon; they keep saying they'll be here in about two weeks, but on the other hand they haven't shipped yet. Why did they put Slimer in charge of this?! Amazon is giving me whiplash. After sitting in processing limbo for a week and a half, this morning it says "Shipped" and "Will Arrive Today"
So...sure enough, later Saturday, an Amazon box arrived. 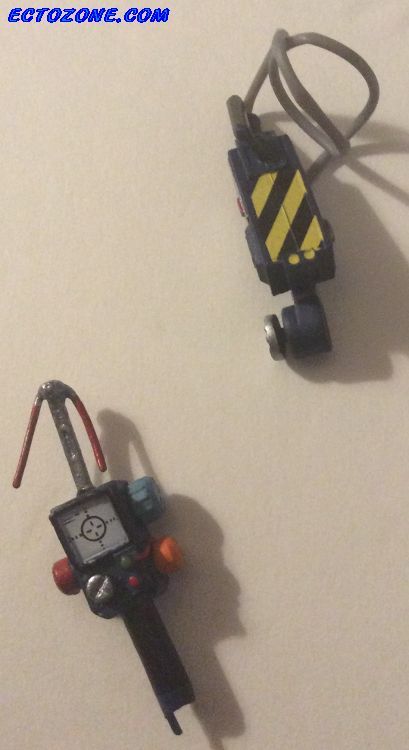 So, if you're one of those guys who is horrified by people actually opening up their toys because it spoils the resale value, well, look away now because it's about to happen. 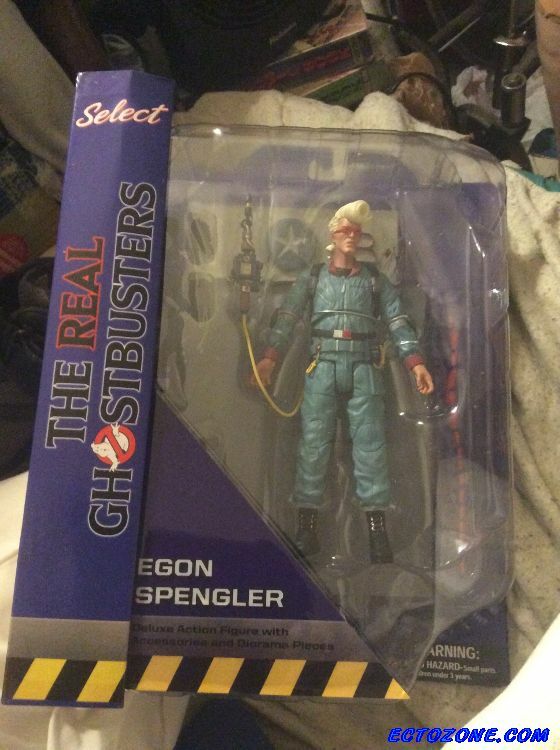 Because I'm me, I opened Egon first. 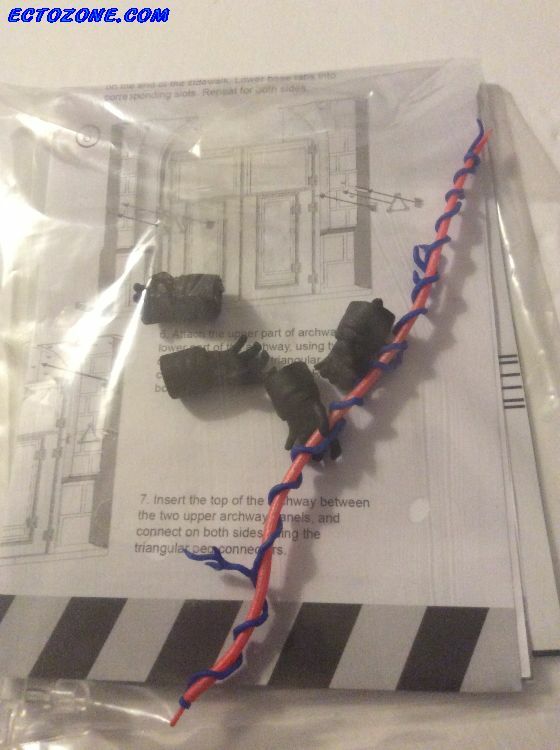 The Ghost Trap's cable doesn't unfold well, and both PKE Meters had slightly bent prongs. That may improve with them out of the boxes; we'll see. 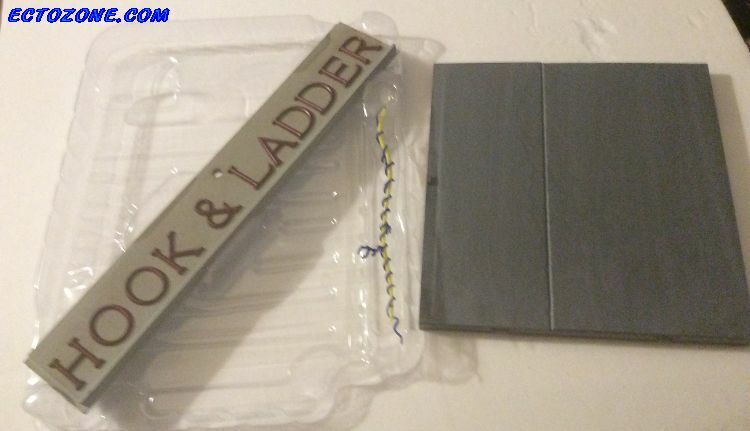 There's a bag with an ad for DST's other Ghostbuster stuff, and instructions on building the Firehouse diorama. I put the extra hands and the proton stream in this bag. 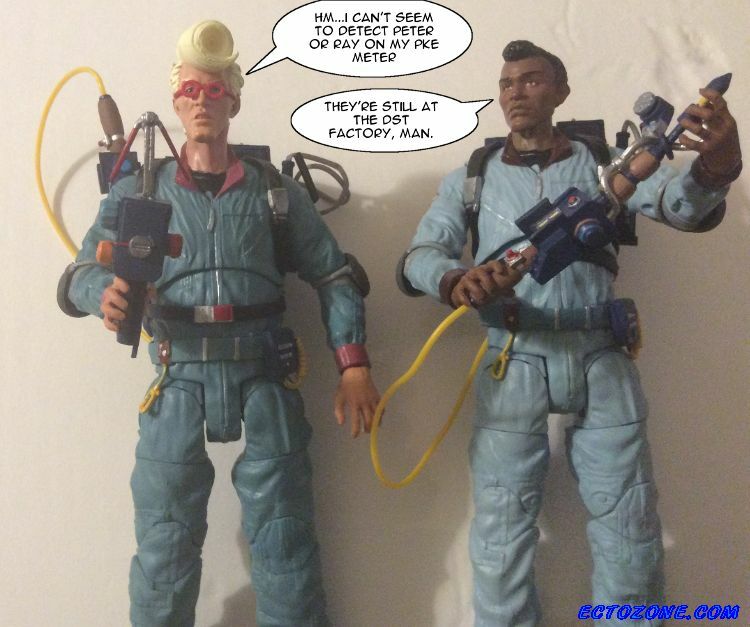 In a wonderful nod to the Kenner toys, the proton streams are the same colors as the proton streams in the legendary Series 1 figures from 1986: Red for Egon, yellow for Winston, with Venkman's to be green and Ray's to be orange. DST knows their stuff--they gave us two of the clear plastic pieces that attach the beams to the throwers with each figure. Those things can be easy to lose. Ray is the only one I'll probably display in gloves most of the time, though. My inner fifteen year old is seriously pleased with these guys. 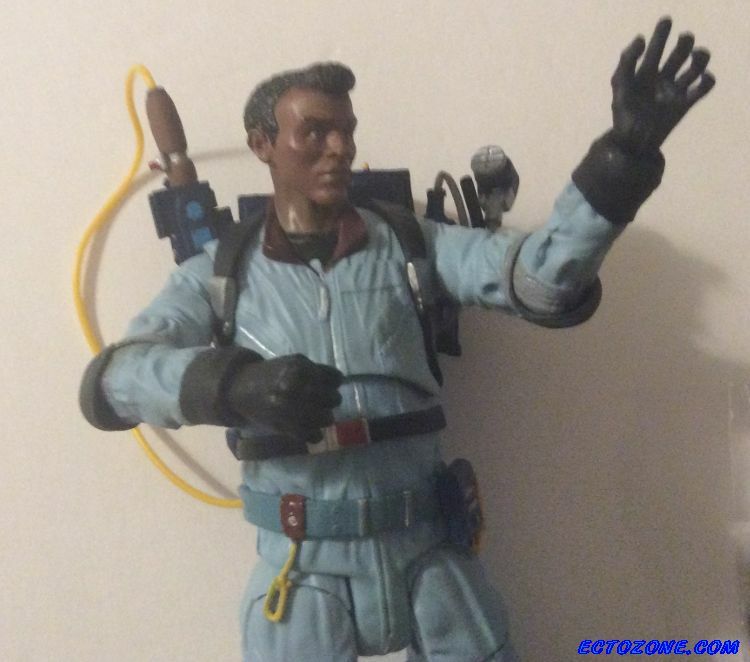 Based on the 1980s animated televisions series The Real Ghostbusters, Diamond Select Toys' Ghostbusters Select Series 9 Action Figures were December's best-selling toy product. 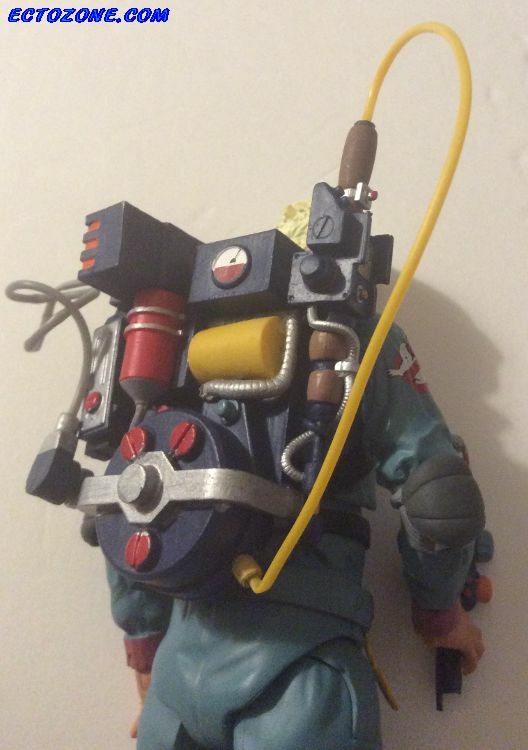 I do have Ray and Venkman on order, but Amazon is once again playing "We're gonna tell you it's gonna be a long time until they get here". Whenever they do get here, expect more pictures. Whoever did the sculpts did a fantastic job. 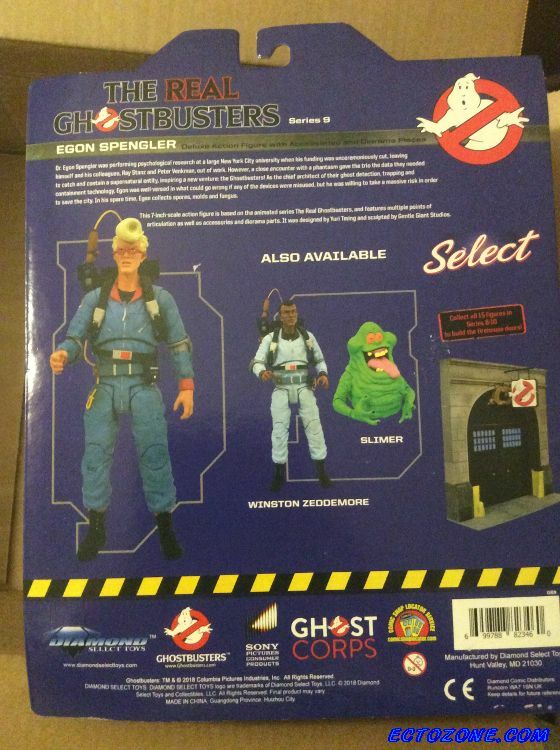 All four guys were nailed (except, IMHO, Egon's glasses are too far up his nose), Peter and Ray especially. I'd love to see how they'd handle Janine. I'd love to see how they'd handle Janine. 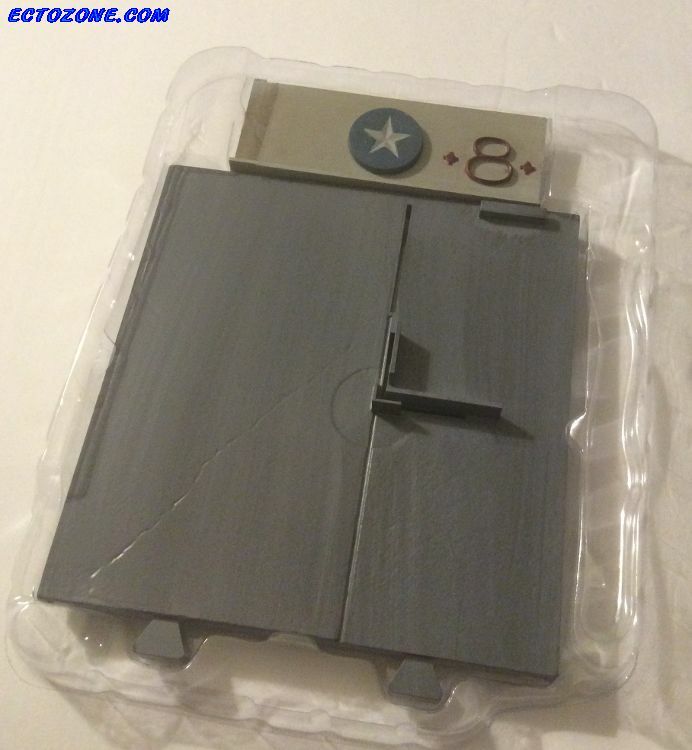 GBFans posted a cap of a Tweet from Diamond Select about the RGB figures saying "We're making more!" I would think some version of Janine would have to be high on the list. 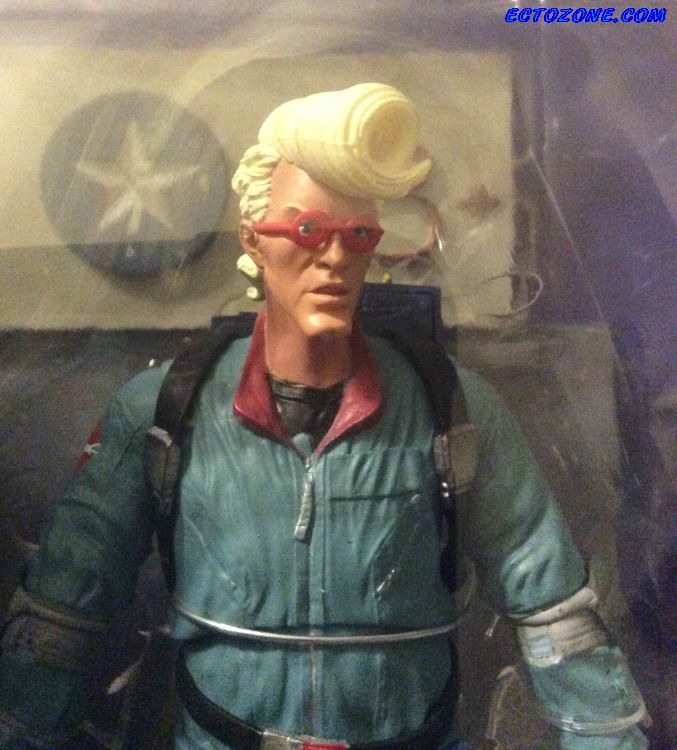 I admit my dream figure would be of her in the RGB#22 flight suit, but the "Janine's Genie" suit (used in the Retro Action line) or the "Mister Sandman, Dream Me A Dream" suit or a "civilian" look would be more than acceptable. The pink flight suit...hell, I'd probably still buy it, but would complain about it. 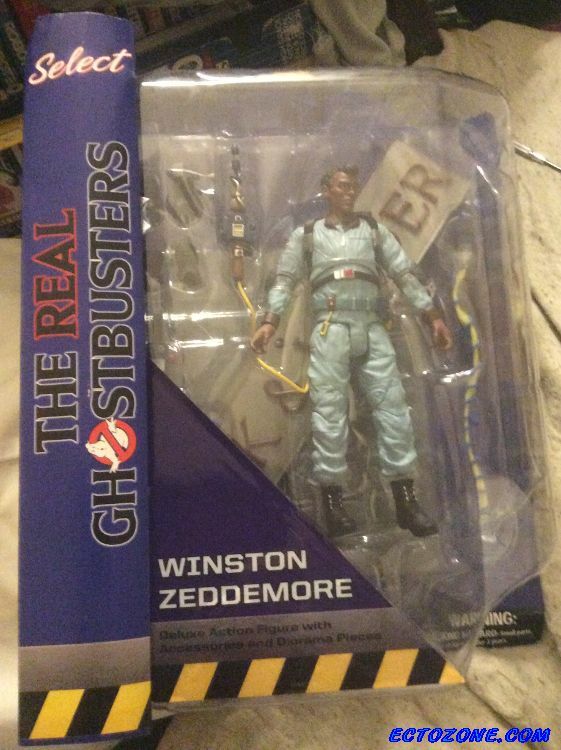 Well, almost a month after I placed the order, Amazon finally took my money for Ray and Venkman. 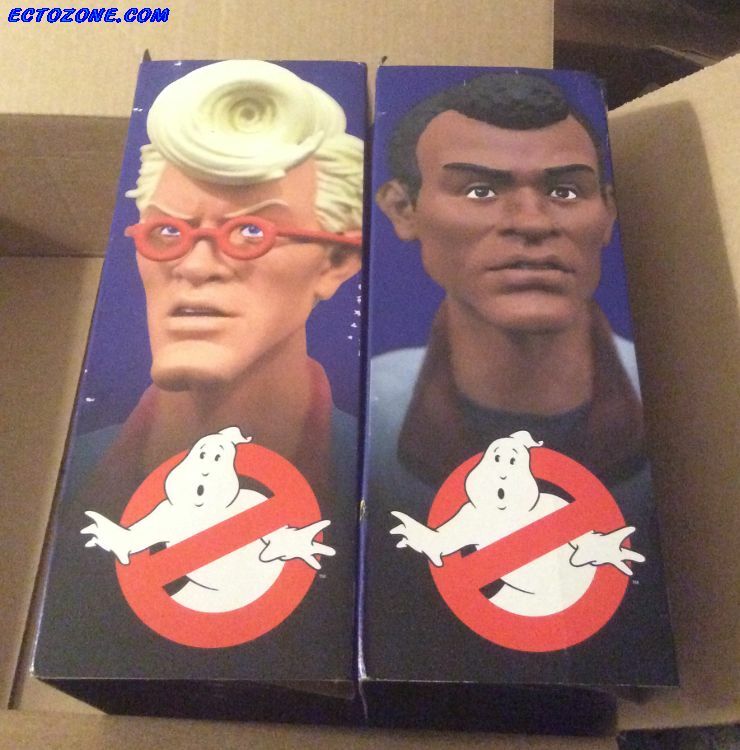 And apparently, according to people on GBFans, RGB Egon is getting really hard to find. Interesting. And it has finally shipped! I probably won't post about them again until I have them and have taken pictures.